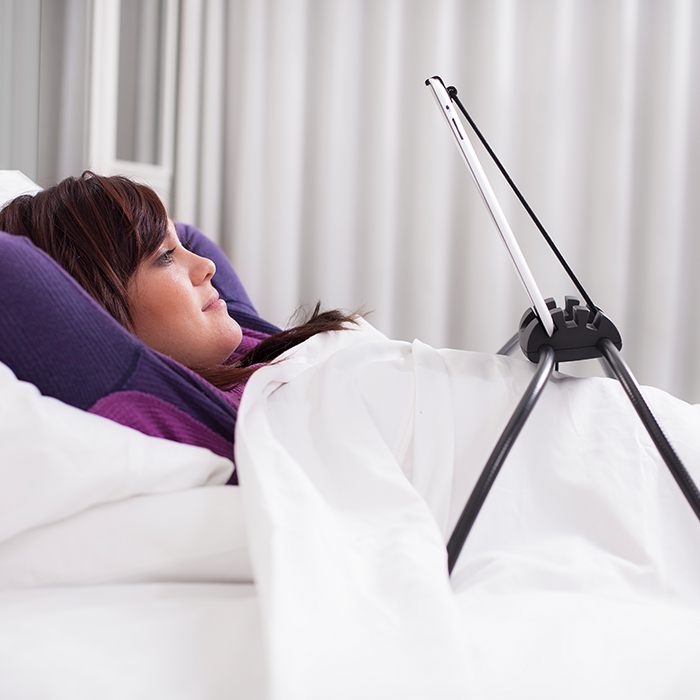 The Tablift is the perfect solution for solving the challenge of using your tablet in bed, on the couch, or just about anywhere other tablet stands don't dare go. 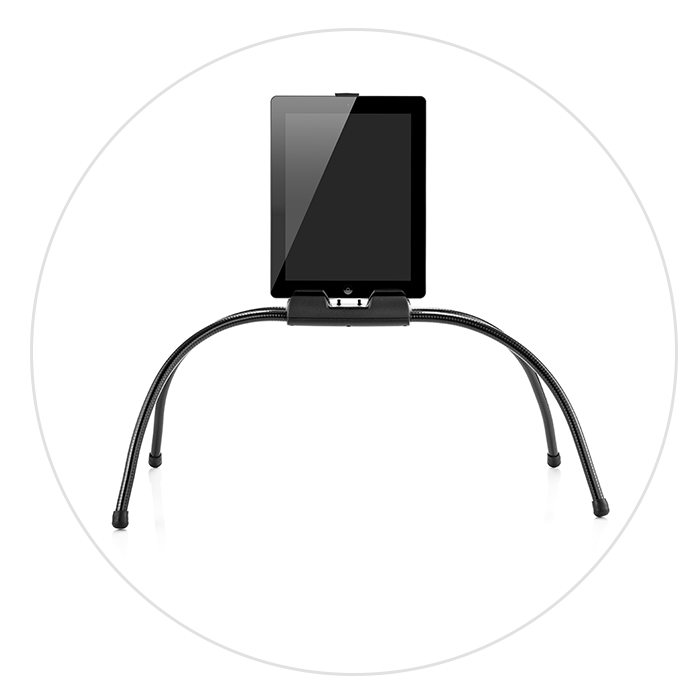 The tablift works with virtually ANY tablet, full sized or mini. The tablift works with virtually ANY tablet, full sized or mini. The tablift has a patented design that allows it to stand totally stable on any unstable surface - like your bed or couch. 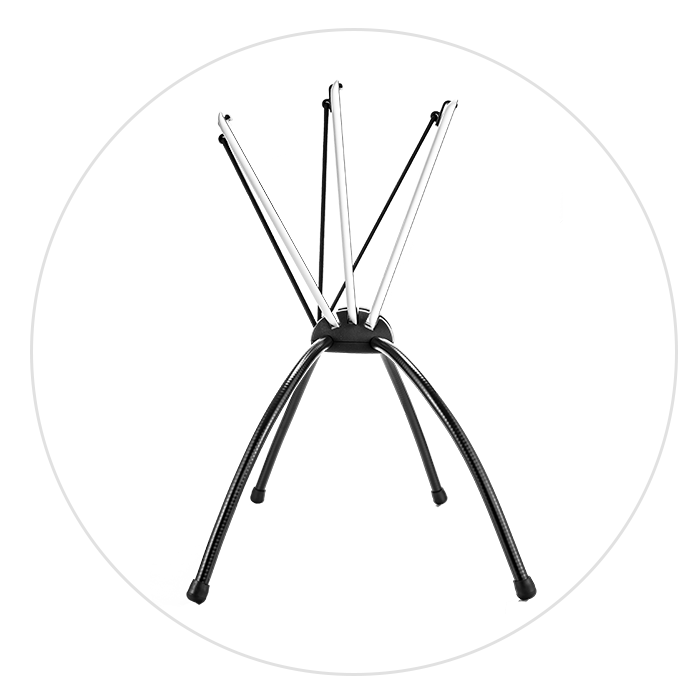 The independently adjustable legs adapt to any situation and then fold to a compact size when you are finished. The tablift is manufactured with the highest quality materials and production standards. We at nbryte are proud to present you the tablift and we believe that you will love it too! If not, simply send it back and will give you a refund, no questions asked. Join the over 100,000 satisfied customers and get your tablift today! "The tablift really is a great way to relieve your hands to do something else other than holding your i-pad!!! Great construction of the tablift. There are so many different configurations to use the tablift with the way the legs fold and unfold. " 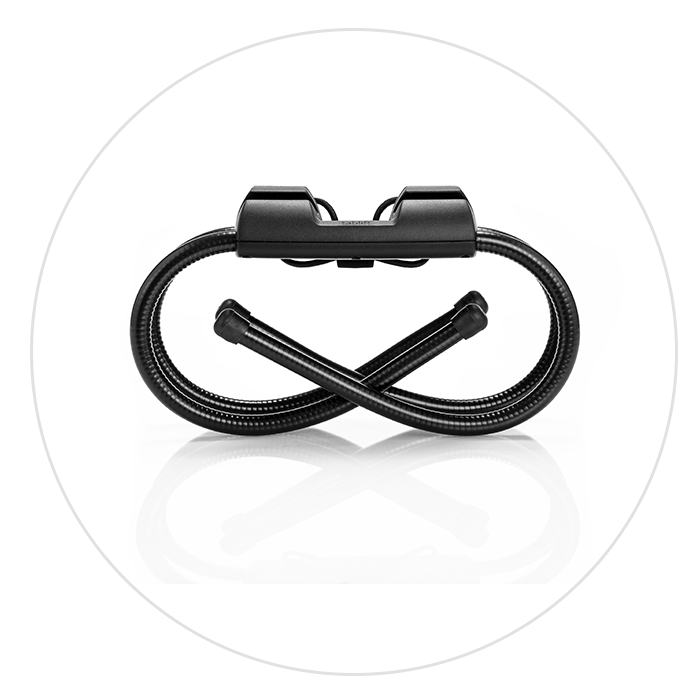 "Works perfect good and solid hold on my iPad and the versatility is great. Just goes to prove that a simple design makes for an excellent result. " 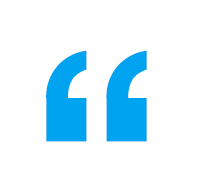 "It is a great experience to use such a high quality and operational product! I would like to personally thank you for this great idea of yours coming true! "